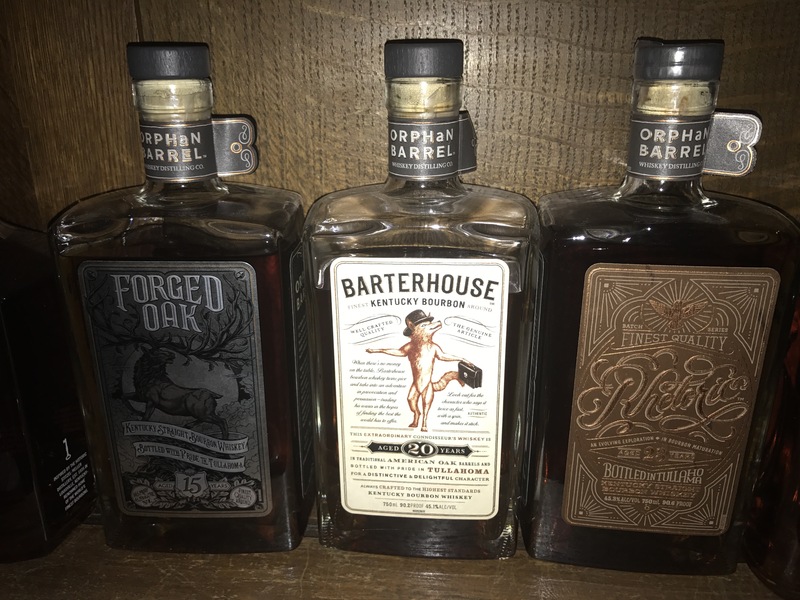 Over the last few months I have acquired three different bourbons from Diageo’s Orphan Barrel series. Diageo, who also has Bulleit and Dickel in it’s American stable and great scotches like Oban, is clearly trying to cash in on the Van Winkle craze by issuing some limited release (although not that limited relatively speaking) ultra aged bourbons. These bourbons were distilled at Heaven Hill, even though Bulleit is currently distilled at Four Roses. This is a decent rye bourbon mashbill they are using. However, older is not always better when it comes to this series. This year’s Rhetoric release is 23 years old. It has a lot of character with some nice vanilla and caramel notes, maybe a hint of coffee, but the oak notes it should have seem a bit watered down. I like this whiskey but I think this should not have been proofed down so much, despite the slight burn at the end. But, an impressive bottle that I am glad I have on my living room bar. I will try to buy the future releases as they add a year in age, but I hope the water they add doesn’t ruin them. Barterhouse, a twenty year old, is a different story. Frankly, this Bourbon tasted flat and rather uninteresting. You can tell it has some age on it and it is very smooth. But that’s it. Glad to have tried this but I probably won’t by another bottle. Forged Oak, on the other hand, at fifteen years old, is the sweet spot for the line of bourbons. Nice oak notes which the Rhetoric lacks. Then again, Forged Oak, due to its younger age, had less water added to proof it down. Nice mouthfeel, good nose and palate; maybe not quite as refined as Rhetoric but it has just that right amount of oak to make this a really great sipping bourbon. I also think 15 years may be the best age for rye recipe bourbon, given that is the rough age for George T. Stagg and Forged Oak. Beyond that age, cask strength is not going to work and proofing it down really causes the bourbon to lose something. Wheat recipe bourbons, like Pappy Van Winkle, seem to handle ultra aging very well beyond 15 years. Rye recipe, not so much. So, buy some Rhetoric if you want something decent aged over 20 years on your bar. But the Forged Oak is really a little bit better.